HomeKnowledgebaseWordpressHow to speed up your WordPress website. WordPress is definitely one of the most widespread CMSs. 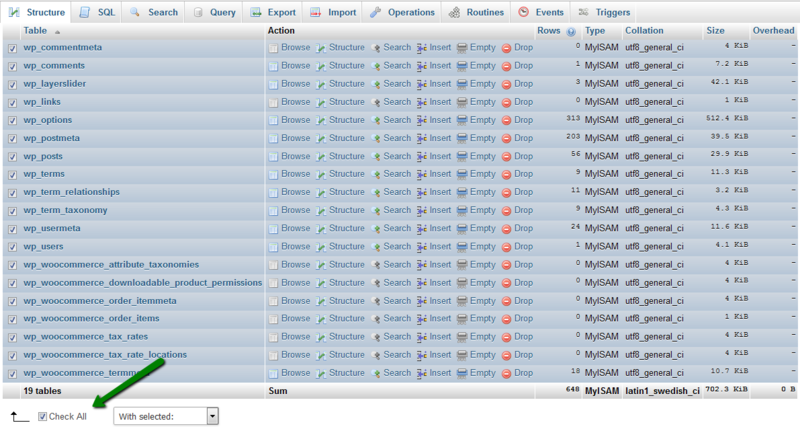 However, it's pretty slow in default configuration, especially, if the site has a lot of visitors and heavy content. Moreover, since 2010 Google has used page load times as a factor in its search ranking algorithms. Luckily, the flexibility of this CMS suggests numerous methods to speed up website loading time significantly. You can check your website using online tools such as Google Page Speed to track the website speed results after each step. Below you can find a few ways to optimize and speed up WordPress. We recommend to use them when building your website. A theme plays a key role in a website load speed. If you plan to create a busy blog, we recommend to do the research and testing to find the lightest and the most optimized theme. WordPress › Support » Fast theme needed? A number of plugins for reducing image size exists on the web, for example, EWWW Image Optimizer, WP Smush.it and so on. They all have different features and allow you to find the configuration you need. We recommend using the EWWW Image Optimizer plugin. 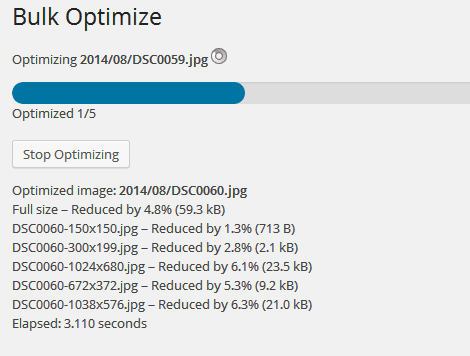 You will have an option to bulk optimize all images in Media library - Start Optimizing. NOTE 1: The optimization procedure requires considerable resources so hitting the CPU resource limit temporarily is probable. NOTE 2: The plugin allows determining a degree of image compression. For example, if you own a photo blog, note that well-compressed pictures will lose quality. You can also set the plugin to conduct scheduled optimization in Advanced Settings. Scheduled optimization does not include Media Library images, because they are either already optimized or will be optimized on upload. The values can be changed according to your specific requirements. A number of WP caching plugins are in use, and the vast majority of them drastically improve the page load time. W3 Total Cache and WP Super Cache are the most popular ones. The main difference between them is that W3 Total Cache is more customizable. Below are the guidelines for its initial setup and tweaking. NOTE: If you are a shared hosting account user, remember that all available caches should not be enabled at the same time - avoid choosing Toggle all caching types on or off (at once). The reason for this is that if Object caching and Database caching are on, they will trigger resource usage spike without any improvement of the page speed. These caches can be enabled if your WordPress website is hosted on a VPS or Dedicated server only. Below you can find some additional measures which do not have effect on the page speed but may improve resource usage and user experience. 1. Do not overload the page with widgets, e.g., social media sharing buttons. They are needed only in blog posts. 2. It is better to display excerpts on the homepage, not full posts. 3. Homepage should not show too many posts, five is fine. LazyLoad suggests loading only the images which are visible in the visitor’s browser window at the moment. When the reader scrolls down, the other images begin to load, just before they come into view. An example of such plugin is jQuery Image Lazy Load. Though this measure doesn't have a visible effect on the page speed, it can make the website consume fewer resources by loading less data for users who don’t scroll your pages all the way down. If a direct link to an image hosted by you is placed on some other website, resources of your account will be consumed, as requests to fetch the image will go to your server. 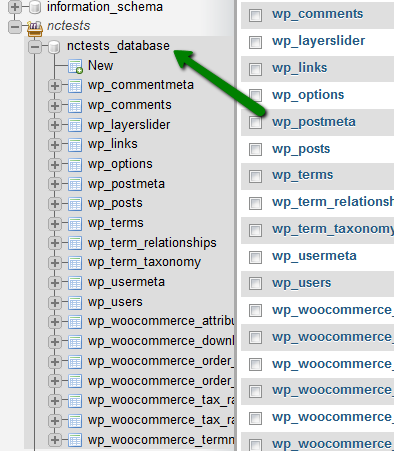 Optimizing the database may also be useful for a WordPress blog. phpMyAdmin includes the database optimization function. Also, we recommend trying specialized plugins such as WP-DB Manager which are intended for similar purposes. We would also like to remind you to back up the database before making any major adjustments especially with third-party plugins.